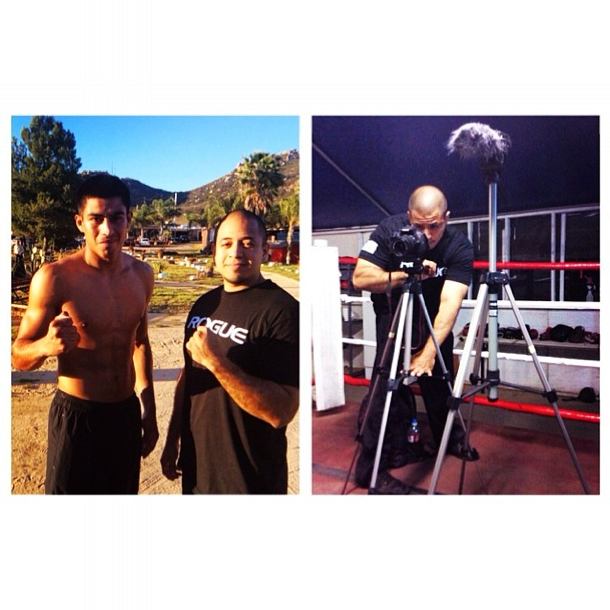 I recently shot some behind the scenes footage on Alan Sanchez who's headlining the Golden Boy Live! Series on Friday, April 18th against Jorge Silva. Next week lookout for the behind the scenes interview I'm working on for The Hollywood MMA Show. Watch the latest edition of Golden Boy Live! from San Antonio, TX on Fox Sports 1 and Fox Deportes on April 18, 2014.